RISE is proud to partner with Intermountain Therapy Animals by offering pet therapy each Tuesday afternoon. 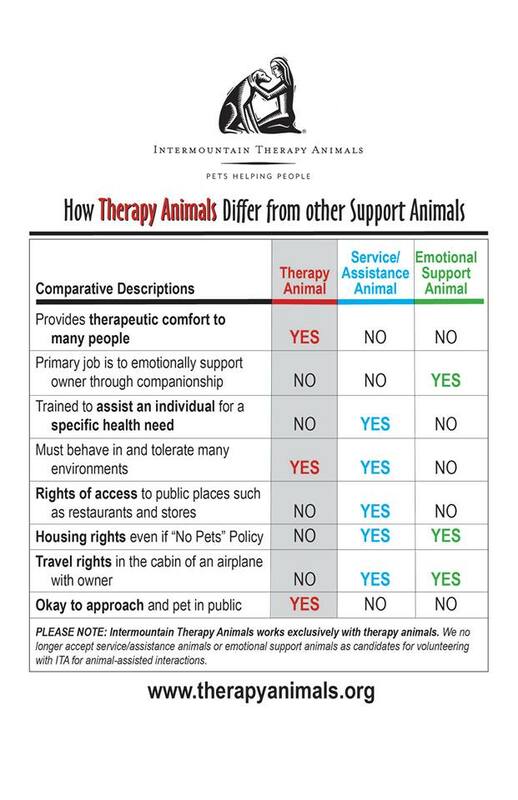 ITA is a non-profit organization bringing animal resources to human needs by providing animal assisted therapy in the areas of physical, occupational, speech and psychotherapies. ITA lauched R.E.A.D. in 1999 as the first comprehensive literacy program built around the appealing idea of reading to dogs. The program has rapidly grown and is experiencing great success at this time.